1. Heat 1/2 tblsp of oil in a pan. 2. Add the small onions and stir-fry for a minute. 3. Add the crabmeat and mix well. 4. Transfer to a bowl and add the eggs, fish sauce, spring onions and black pepper powder. 7. Pour the egg mixture and cook till light brown and crispy. 8. Cook the other side for 2 minutes and remove to a serving plate. 10. Serve hot at once. 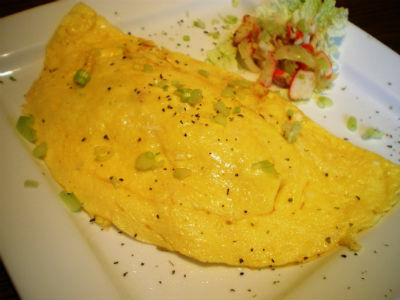 Feel free to comment or share your thoughts on this Crab Omelette Recipe from Awesome Cuisine.